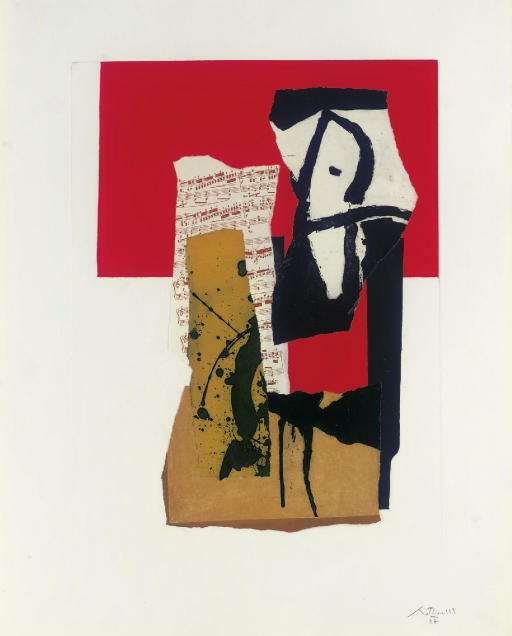 New York, M. Knoedler & Co., Inc., Robert Motherwell: The Summer 1987 Collage Series: 'The Red and Black, and Other Unexhibited Works, exh. cat., April 1988 (illustrated on the cover of the exhibition announcement). This work will be included in the forthcoming Catalogue Raisonné of paintings and collages being prepared by the Dedalus Foundation.